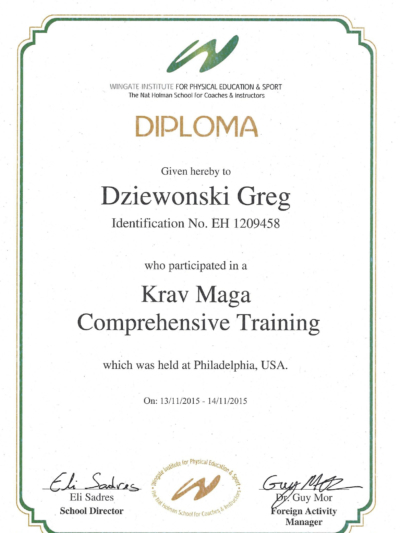 I’ve been training Krav Maga for about 10 years. 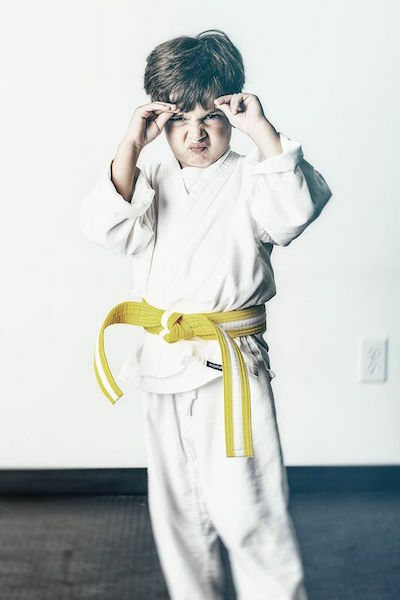 Having background in Judo I always wanted to come back to Martial Arts, but at the age of 40 I couldn’t quite picture myself going back to the sport that requires a lot of flexibility. Also, my back injury that prevented me from continuing Judo training in the past had to be taken under serious consideration. I’ve learned about Krav Maga from a documentary that I saw on TV. I was mesmerized by its simplicity and effectiveness. 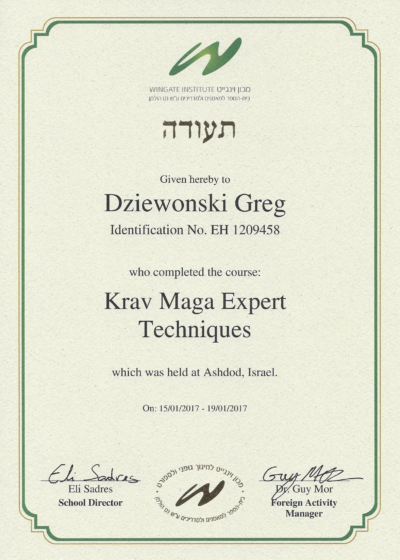 Three days later I was on the mats at the local Krav Maga school learning the art and its history. Learning about Imi Lichtenfeld (Krav Maga’s founder) shaped the way I am approaching my students, fellow practitioners and Instructors, today. Imi was a great and charismatic athlete, but most of all he was a very kind person. His vision was to unite people around Krav Maga and make new friends for Israel and Jewish people by popularizing Krav Maga around the world. His convictions really appealed to me even though I’m a Catholic not Jewish. However, Judaism and Christianity share the same roots and same values. 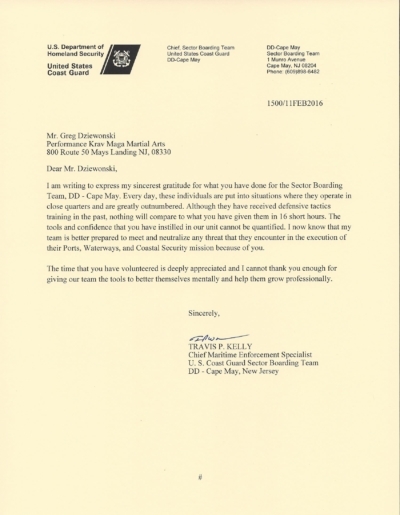 Over the years I had a privilege of meeting and training with some of the best Krav Maga Instructors in the world including Imi’s direct students. Every one of them teaches a little differently and has a little different philosophy on Krav Maga as It should be. If you watch Imi’s video from 1984 where he compares Krav Maga to a stick and says “Be humble, don’t say another way is no good…. We say every way is good.” – you’ll understand what I’m talking about. Out of all these instructors one of them appealed to me in a special way. I liked his skills, speed, dynamic techniques and his approach to Krav Maga. He became my teacher and my mentor. His name is Alain Cohen. 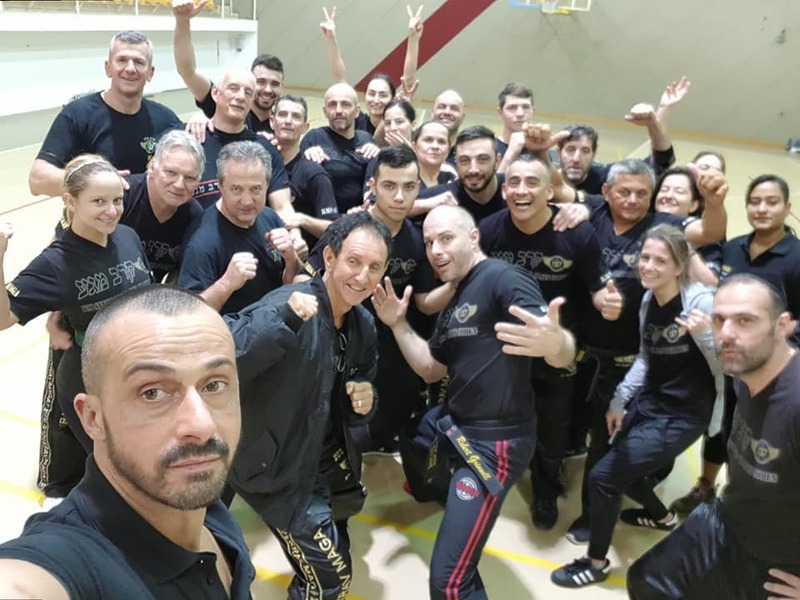 Alain studied Krav Maga under Haim Anidzar and Raphy Elgrissy – both Imi’s direct students and for years he was a Krav Maga Coach at Wingate Institute in Netanya, Israel – a National University for athletes and coaches. After a year Alain entrusted me with representing his organization – Krav Maga Federation – AC in the United States. For the first month or two Krav Maga was a nice hobby, but quickly it became my passion. I found myself training six to seven times per week, several hours per day and attending intensive Krav Maga courses in the United States and Israel. 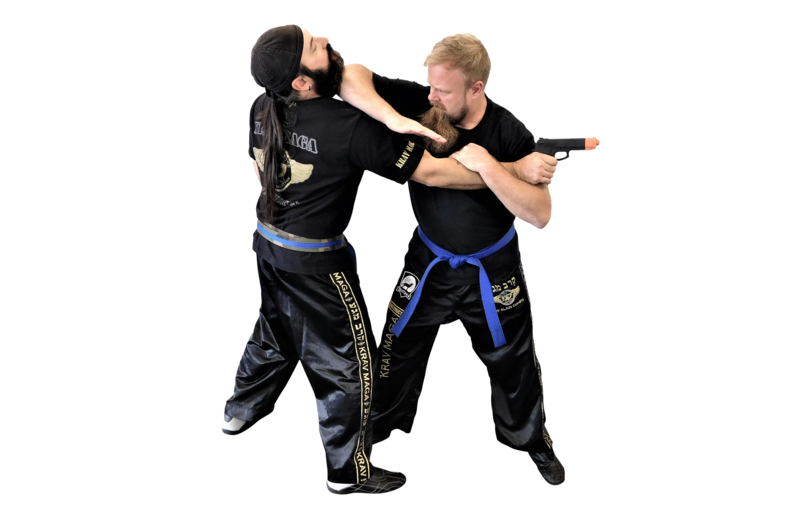 I’ve attended Wingate Institute courses (highest authority in Krav Maga) achieving my Comprehensive Krav Maga Training Certification and next Krav Maga Expert Techniques Certification. I think it’s safe to say that I have more hours of Krav Maga training than some people who trained for 15 or even 20 years. I loved it so much that I’ve decided to share the knowledge I was acquiring with others and founded Performance Krav Maga with its three locations today and the forth one coming soon. Over the years I’ve trained thousands of students including police officers and military personnel. The United States Coast Guard Sector Boarding Team from Cape May that protects our water ways is trained by me. I was happy to train these amazing young men without asking for compensation. It was an honor and a privilege for me to have an opportunity to contribute to our country and knowing that because of me they would be safer while conducting their high-risk operations. 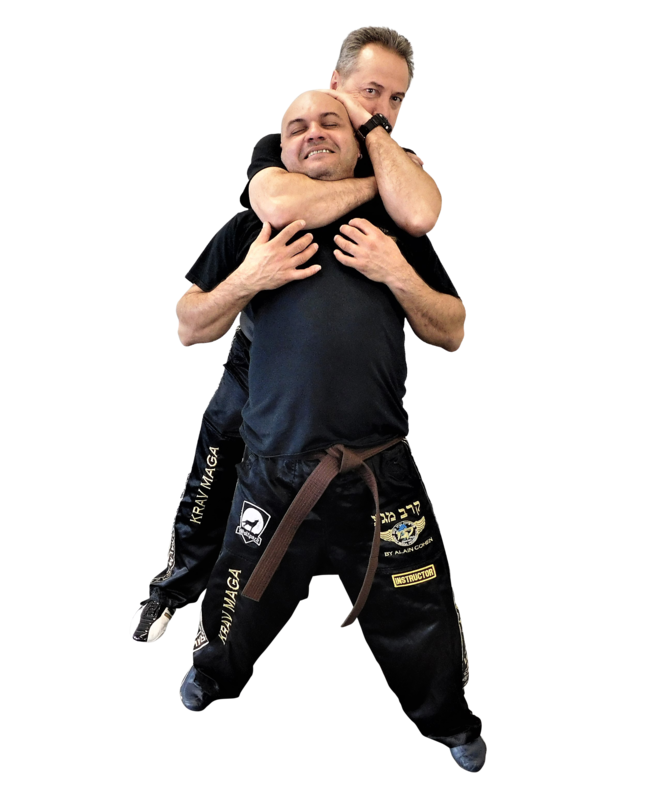 Today I am a 4th Dan Black Belt and Level 7 (Expert) Instructor under Krav Maga Federation – AC and I continue to teach in Southern New Jersey as well as I travel throughout United States teaching and certifying other Instructors and carrying Imi’s mission. But, don’t congratulate me just yet as this makes me a target for those who are unable to shine their own light. You may have seen recent attacks on me, my teacher and our organization on social media. Believe me, they are driven by envy, jealousy and their own insecurity. I think our building has gotten too tall for them. It’s a shame they only adopted fighting techniques from Imi and they ignored all moral values. Imi never intended for Krav Maga practitioners to be at each other’s throats because they think their Krav Maga is better than the other. Imi wanted to spread Krav Maga around the world to create peace.